This species is accepted, and its native range is Tropical & Subtropical America. 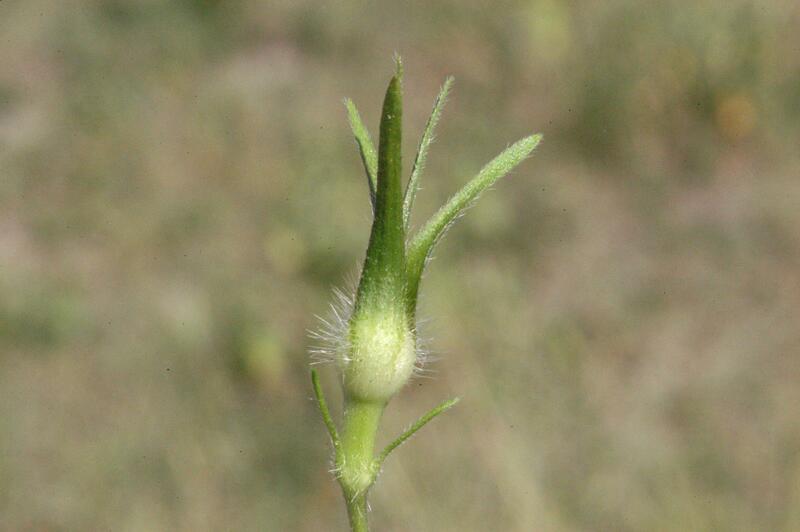 Leaf-blade ovate, about 8 cm. long and 8 cm. broad, cordate at the base, 3-lobed, ± adpressed pilose above and beneath; lobes ± acuminate at the apex; petiole bristly, about 4 cm. long. Flowers solitary or in lax few-flowered cymes; peduncle 4–5 cm. long; pedicels up to 1.2 cm. long. Sepals linear-lanceolate, 2.2–2.7 cm. long, 3.5 mm. wide at the base and 1.5–2 mm. wide above, long-attenuated at the apex, densely pilose with patent bristles at the base and with a few above together with much shorter pubescence. Corolla magenta with paler tube, 6–7.5 cm. long. Established on waste ground and in secondary thickets; 1140 m.
T1 T2 U3 North Americaintroduced into various parts of the tropics. A pantropical weed of disturbed places. In Bolivia this is a very common species of disturbed bushy places, often near settlements. 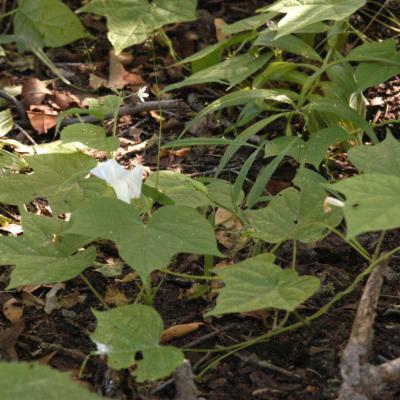 It is far more common in the lowlands than Ipomoea purpurea, being found particularly in the Andean foothills, the Chaco fringes and the Chiquitania. It becomes rare above 1000 m, but is also common in the Yungas of La Paz where it reaches at least 2100 m. Like I. hederifolia and I. purpurea it is virtually absent from the Beni and Pando. The lack of records from Cochabamba and much of Chuquisaca is also noteworthy. Map 18. The blue flowers, 3-lobed leaves and long, pilose sepals which taper from near the base make this an easily identified species in Bolivia. 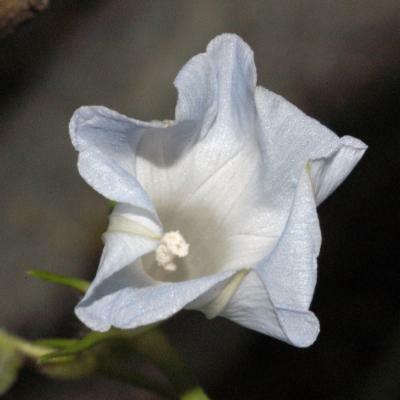 However, it has commonly been misnamed Ipomoea hederacea Jacq., a species principally of the United States, which is distinguished by its smaller corolla and the recurved fleshy tips of the sepals. Found in flower virtually throughout the year but, like other annual species, predominantly in autumn at the end of the rainy season from February to July. On fences in villages and in fields. Cultivada en Colombia; Alt. 25 - 2560 m.; Andes, Llanura del Caribe, Valle del Cauca, Valle del Magdalena. Leaf lamina ovate to circular in outline, 3-lobed, up to 14 × 13·5 cm., cordate at the base, more or less appressed pilose above and beneath; middle lobe ovate to oblong, acuminate, lateral ones obliquely ovate to broadly falcate, acuminate; petiole up to 8 cm. long, bristly. Flowers solitary or in lax few-flowered cymes; peduncle up to 7 cm. long, hirsute like the stems; bracteoles linear to filiform, 5–10 mm. long; pedicels up to 10 mm. long, retrorsely hairy. 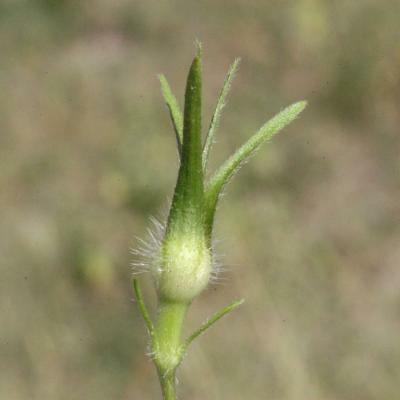 Sepals linear-lanceolate, 2·3–2·8 cm. long, long-attenuated at the apex, densely pilose with patent bristles at the base and a few above together with much shorter pubescence. Corolla funnel-shaped, magenta with paler tube, 5·5–7 cm. long, glabrous. Capsule ovoid to globose, glabrous. Argentina Northeast, Argentina Northwest, Aruba, Bahamas, Belize, Bolivia, Brazil North, Brazil Northeast, Brazil South, Brazil Southeast, Brazil West-Central, Colombia, Costa Rica, Dominican Republic, Ecuador, El Salvador, French Guiana, Galápagos, Guatemala, Guyana, Haiti, Honduras, Jamaica, Leeward Is., Mexico Central, Mexico Gulf, Mexico Northeast, Mexico Northwest, Mexico Southeast, Mexico Southwest, Netherlands Antilles, Nicaragua, Panamá, Paraguay, Peru, Puerto Rico, Suriname, Trinidad-Tobago, Uruguay, Venezuela, Windward Is. Ipomoea caerulea J.König ex Roxb. Ipomoea cuspidata Ruiz & Pav. Ipomoea dillenii (Desr.) Roem. & Schult. Ipomoea githaginea Hochst. ex A.Rich. 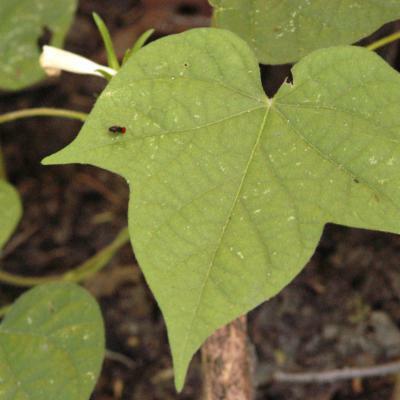 Ipomoea hederacea var. limbata (Lindl.) Benth. Ipomoea nil var. limbata (Lindl.) Meisn. Pharbitis albomarginata Lindl. ex Hook.f. Vladimirov, V. & al. (2016). New floristic records in the Balkans: 29 Phytologia Balcanica 22: 93-123. Carranza, E. (2015). Flora del Valle de Tehuacán-Cuicatlán 135: 1-128. Instituto de Biología, Universidad Nacional Autónoma de México. Wood, J.R.I., Carine, M.A., Harris, D., Wilkin, P., Williams, B. & Scotland, R.W. (2015). Ipomoea (Convolvulaceae) in Bolivia Kew Bulletin 70(31): 1-124. Staples, G. (with P. Traiperm) (2010). Convolvulaceae Flora of Thailand 10: 330-468. The Forest Herbarium, National Park, Wildlife and Plant Conservation Department, Bangkok. Bianchini, R.S., Ferreira, P.P.A. in Forzza, R.C. et al. (2010). Convolvulaceae Lista de Espécies da Flora do Brasil Jardim Botânico do Rio de Janeiro. Lisowski, S. in Lisowski, S. (2009). 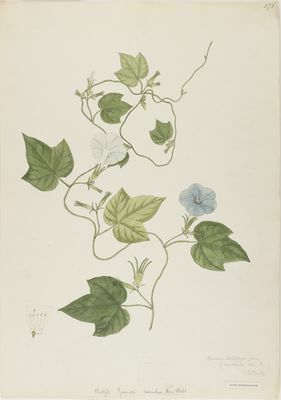 Convolvulaceae Flore (Angiospermes) de la République de Guinée: 136-145. Jardin Botanique National de Belgique. Carranza, E. (2007). Convolvulaceae I, in Fl. Bajío Flora del Bajío y de regiones adyacentes 151: 1-129. Staples, G. & Jarvis, C.E. (2006). Typification of Linnaean plant names in Convolvulaceae Taxon 55: 1019-1024. Miller, A.G. & M. Morris in Miller, A.G. & M. Morris (2004). Ethnofl. Soqotra Archipel. Convolvulaceae + Cuscutaceae Ethnoflora of the Soqotra Archipelago: 516-524. Royal Botanic Garden Edinburgh. Lee, Yong No in Lee, Yong No (2002). Convolvulaceae Flora of Korea 1: 652-656. Kyo-Hak Publ. Co., Ltd.
Subba Rao, G.V. & G.R. Rao in Subba Rao, G.V & G.R Kumari (2002). Convolvulaceae Flora of Visakhapatnam District, Andhra Pradesh 1: 549-574. Botanical Survey of India. Austin, D.F. in Stevens, W.D. & al. (eds.) (2001). Convolvulaceae Flora de Nicaragua 1: 653-679. Missouri Botanical Garden Press, St. Louis. Balick, M.J., Nee, M.H. & Atha, D.E. in Balick, M.J., Nee, M.H. & Atha, D.E. (2000). Checklist of the Vascular Plants of Belize with Common Names an Uses: i-x, 1-246. New York Botanic Garden Press, New York. Liogier, H.A. & L.F. Martorell in Liogier, H.A. & Martorell, L.F. (2000). 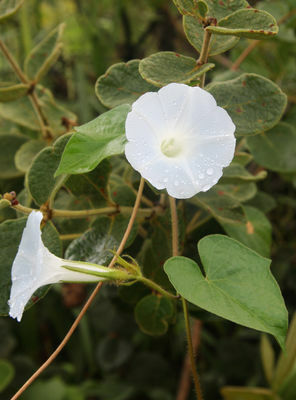 Convolvulaceae Flora of Puerto Rico and Adjacent Islands: a Systematic Synopsis: 162-167. Editorial de la Universidad de Puerto Rico, San Juan. Austin, D.F. in Steyermark, J., Berry, P.E., Holts, B.K. (eds). (1998). Convolvulaceae Flora of the Venezuelan Guayana 4: 377-424. Missouri Botanical Garden, St. Louis. Austin, D.F. in Boggan, J. Funck, V. & Kelloff, C. (1997). 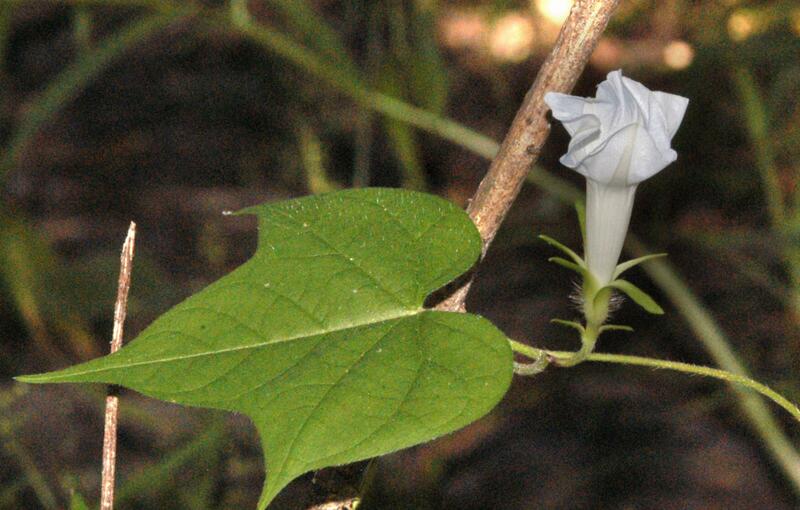 Convolvulaceae Checklist of the Plants of the Guianas (Guyana, Surinam, Franch Guiana): 87-88. University of Guyana, Georgetown. Austin, D.F. & Huáman, Z. (1996). 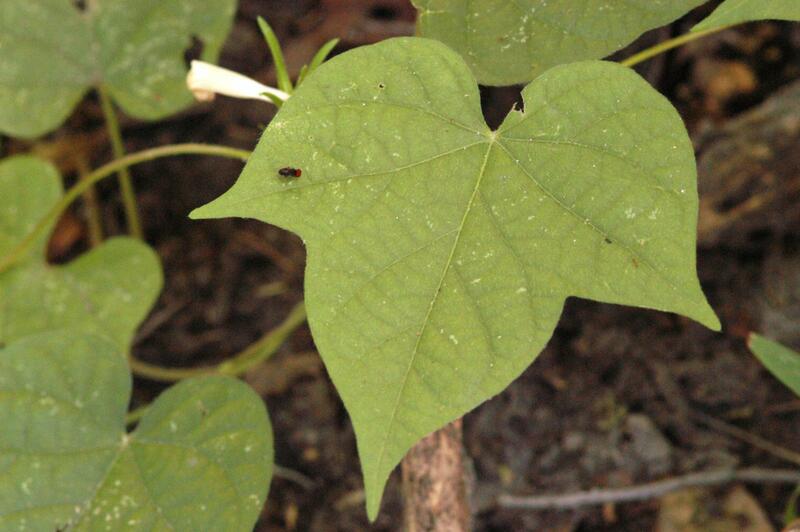 A synopsis of Ipomoea (Convolvulaceae) in the Americas Taxon 45: 3-38. McDonald, Andrew (1994). Convolvulaceae Flora de Veracruz 77: 1-133. Instituto Nacional de Investigaciones sobre Recursos Bióticos, Xalapa, Veracruz. Friedmann, F. (1994). Convolvulaceae Flore des Seychelles Dicotylédones: 491-503. ORSTOM éditions. Liogier, A.H. in Liogier, A. H. (1994). Convolvulaceae La flora de la Española 6: 49-114. Universidad Central del Este. Barker, R.M. & Telford, I.R.H. (1993). Fl. Australia Oceanic Islds. 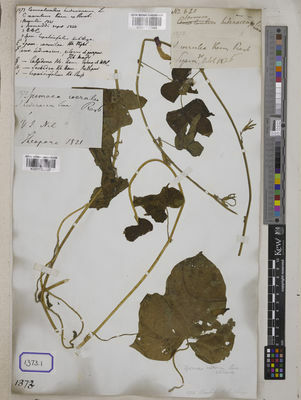 Convolvs Flora of Australia 50: 342-353. Australian Government Publishing Service, Canberra. Lejoly, J. & S. Lisowski (1992). Les genres Merremia et Ipomoea (Convolvulaceae) dans la Flore d'Afrique Centrale (Zaire, Rwanda, Burundi) Fragmenta Floristica et Geobotanica 37: 21-125. Austin, D.F. (1990). 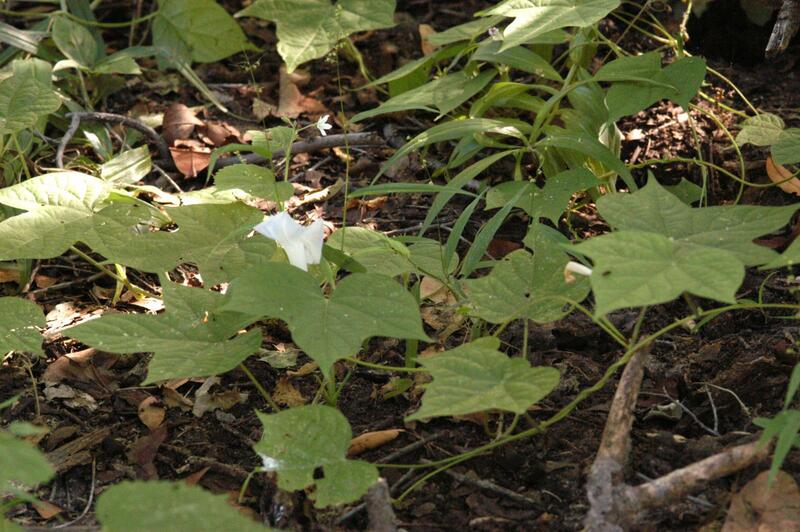 Comments on southwestern United States Evolvulus and Ipomoea (Convolvulaceae) Madrono 37: 124-132. Khan, M.S. (1985). Fl. Bangladesh Convolvulaceae Flora of Bangladesh 30: 1-59. Bangladesh National Herbarium, Dhaka. Heine, H. (1984). Fl. Nouv. Caléd. & Dépend. 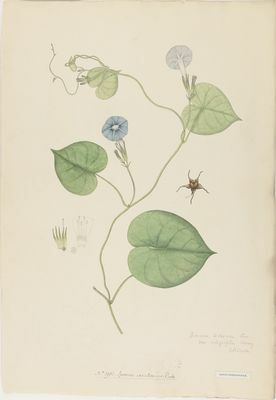 Convolvulaceae Flore de la Nouvelle-Calédonie et Dépendances 13: 1-91. Muséum National d'Histoire Naturelle, Paris. Austin, D. F. (1982). Flora of Ecuador 15: 3-99. Botanical Institute, University of Göteborg, Riksmuseum, Stockholm. Austin, D.F. & Cavalcante, P.B. (1982). Convolvuláceas da Amazônia Publicações Avulsas do Museo Goeldi 36: 1-134. Austin, D.F. in Correll, D.S. & Correll, H.B. (1982). Convolvulaceae Flora of the Bahama Archipelago: 1161-1190. J.Cramer, Vaduz. Austin, D.F. in Dassanayake (ed.) (1980). Rev. Handb. Fl. Ceylon Convolvulaceae A Revised Handbook to the Flora of Ceylon 1: 288-363. Oxford & IBH Publishing Co. PVT. LTD., New Delhi, Calcutta. Powell, Dulcie A. (1979). 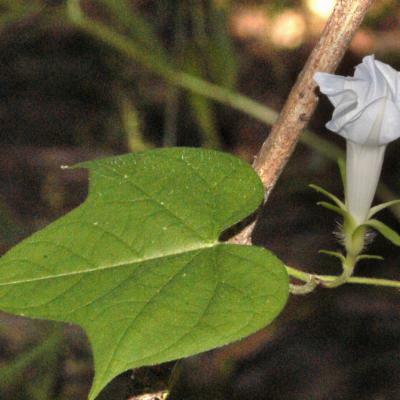 The Convolvulaceae of the Lesser Antilles Journal of the Arnold Arboretum 60: 219-271. Verdcourt, B. (1978). 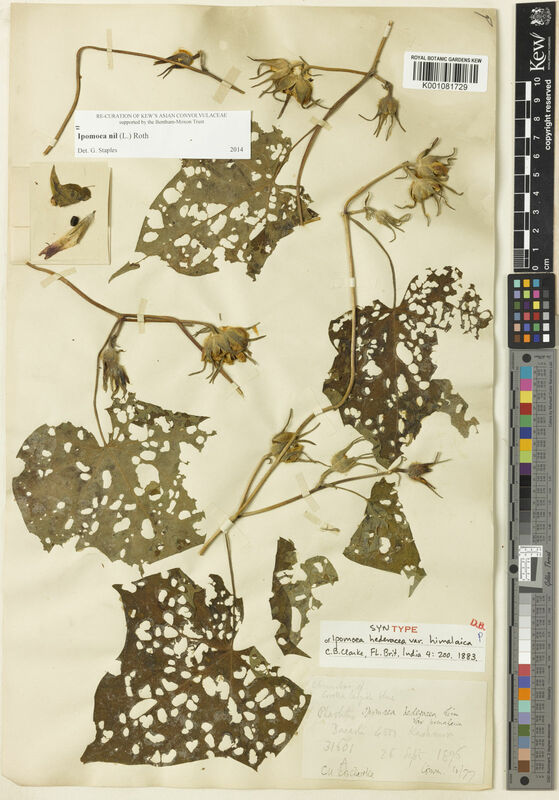 Corrections and additions to the 'Flora of Tropical East Africa: Convolvulaceae': IV Kew Bulletin 33: 159-168. Long, R. W. & O. Lakela in Long, R. W. & O. Lakela (1976). Convolvulaceae A flora of tropical Florida: 711-724. Banyan Books. Austin, D.F. (1975). Convolvulaceae Annals of the Missouri Botanical Garden 62: 157-224. Adams, C.D. in Adams, C.D. (1972). Flowering Plants of Jamaica: 601-614. University of the West Indies, Mona. Wiggins, I.L. in Wiggins, I.L & D.M. Porter (1971). Convolvulaceae Flora of the Galápagos Islands: 367-383. Stanford University Press. Standley, P.C. & Williams, L.O. (1970). Convolvulaceae Fieldiana Botany New Series 24 (9: 1,2): 4-85. Field Museum of Natural History. Gooding, E.G.B. & A.R. Loveless in Gooding, E.G.B. & A.R. Loveless (1965). Convolvulaceae Flora of Barbados: 332-344. Her Majesty's Stationery Office. Heine, H. in Hutchinson, J. & Dalziel, J.M. (1963). Convolvulaceae Flora of West Tropical Africa, second edition 2: 335-352 + 496. Crown Agents for Oversea Governments and Administrations. Leon, H. & Alain, H. in Leon, H. (1957). Convolvulaceae Flora de Cuba 4: 218-248. Cultural S. A., La Habana. Hill, A.W. & Sandwith, N. in Williams, R.O. (1953). Fl. Trinidad & Tobago Convolvs. Flora of Trinidad and Tobago 2(4): 210-240. Government Printing Office, Port-of-Spain. Standley, P. C. (1938). Convolvulaceae Publications of Field Museum of Natural History, Botanical Series 18(3): 960-974. Boldingh, I. in Boldingh, I. (1909). 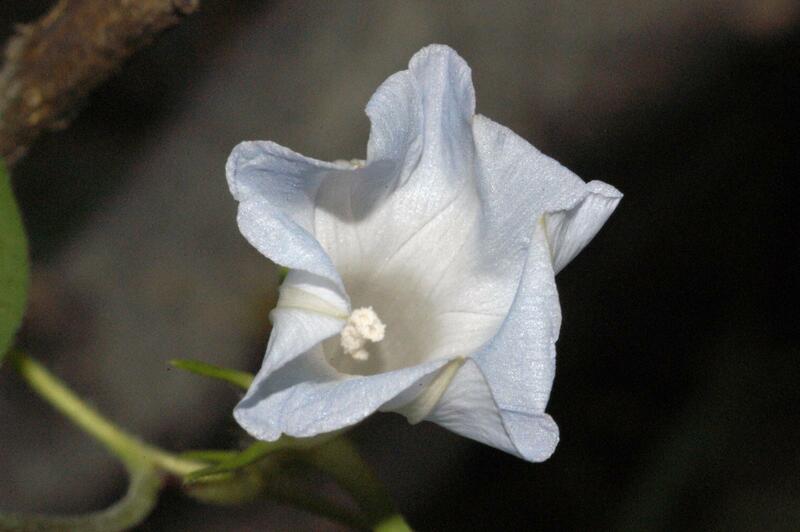 Convolvulaceae Flora of the Futch West Indian Islands, vol. I: St. Eustatius, Saba, and St. Martin 1: 161-163. E.J. Brill. Eggers, H.F.A. in Eggers, H.F.A. (1879). Convolvulaceae The flora of St Croix and the Virgin Islands: 70-73. US Government Printing Office. Grisebach, A.H.R. in Grisebach, A. H. R. (1862). Convolvulaceae Flora of the British West Indian Isands: 466-476. Lovell Reeve. Meeuse in Bothalia 6: 733 (1958). Kiew, R. & al. (eds.) (2015). Flora of Peninsular Malaysia. Series II: Seed Plants, volume 5 Malayan Forest Records 49: 1-319. Missouri Botanic Garden (2005-2008). Vascular Tropicos Nomenclatural Database http://mobot.mobot.org/W3T/Search/vast.html. Gagnepain & Courchet in H. Lecomte (1915). Flore Indo-Chine Convolvulaceae Flore Générale de l'indo-Chine 4: 228-313. Meeuse in Bothalia 6 : 733 (1958). Verdc. in Taxon 7 : 84 (1958). van Ooststr. in Fl. Males., ser. 1, 4 (4) : 465 (1953). Roth, Cat. Bot. 1 : 36 (1797).